The term ‘Menschheit’, from the Yiddish, is deemed to be almost untranslatable. Irrespective of this, the 1996 movie City Hall (director, Harold Becker) employed it as a complete thematic device, or darkly textual undertow. Although the actual word, or idea of the word, ‘menschheit’, only occupies a handful of dialogue lines, the concept is quietly pervasive throughout the entire film. In a conversation between Al Pacino and John Cusack, ‘Menschheit’ is variously decribed as “things of men”, a “…thing between men”, or even “the space between a handshake [of men]”. Whatever exactly it is, it is clearly something important, often unspoken, an inherent ‘understanding’ and a matter of profound honour – something you die for rather than betray. It is also exclusively a male domain and unquestionably related to power – the getting of it and the keeping of it. It is a thing hatched in backrooms and communicated by nods, winks and hands placed paternally upon shoulders. 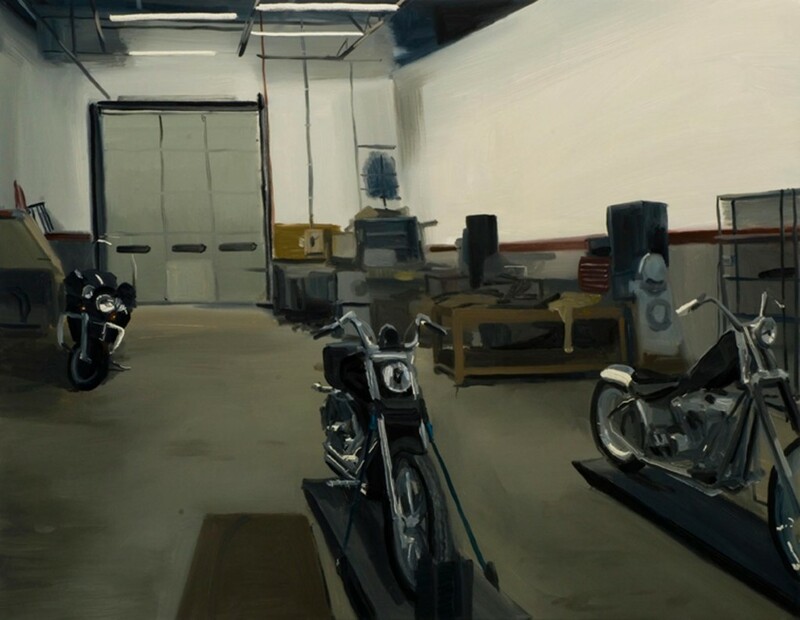 Places of production, workshops and small family factories are at the heart of Kevin Cosgrove’s paintings, which explore the traditions of the depiction of the nobility of labour and the oral commuication of skills, from father to son or master to apprentice. Simon Denny’s casual structures or loosely determined sculptural installations examine their own nature, and the possibilites of their own making and re-making, contextualised within shifting grounds of art and non-art environments. 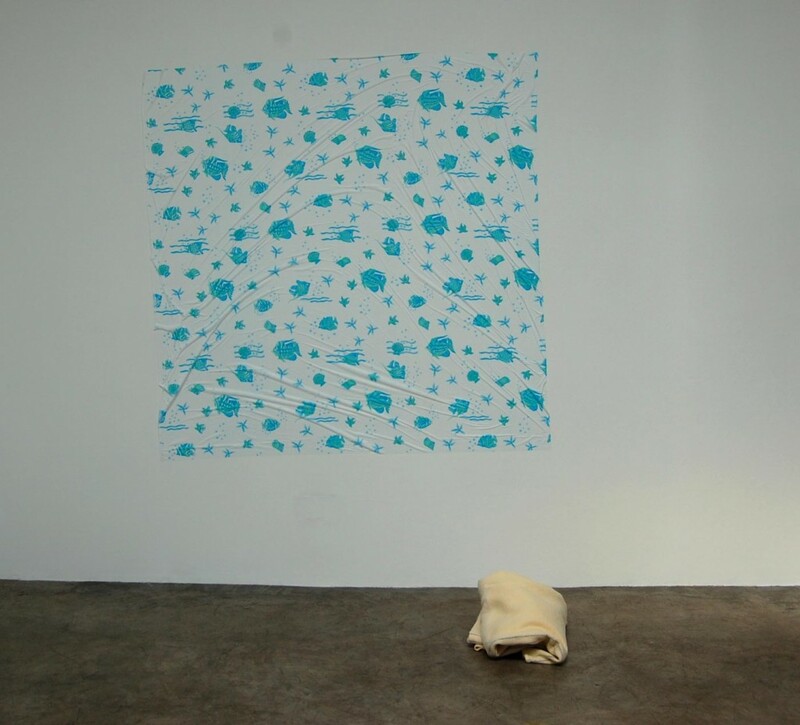 Synthetic tablecloths become ‘macho’ abstract artworks, held to the gallery wall delicately by their own self-generating static electricity. 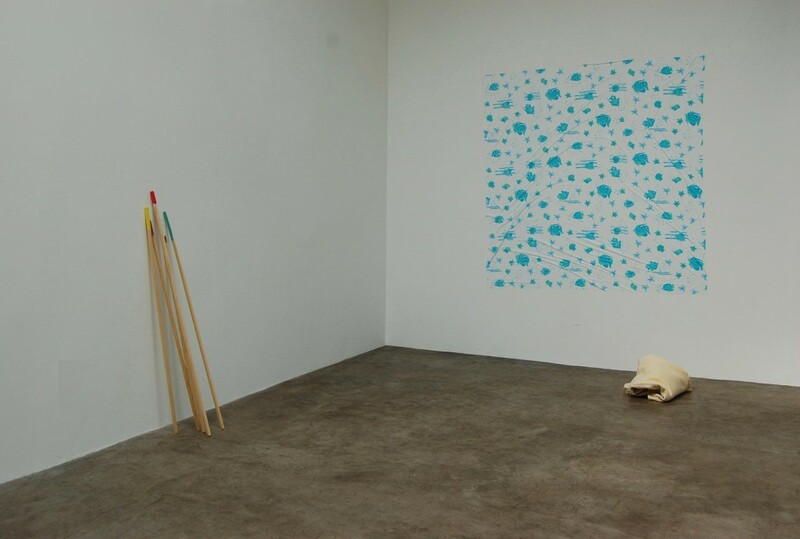 A related object, a blanket, folded and neatly place on the floor adopts a completely different set of gender-associative references: it returns to its intended or inherent narture as an article of potential warmth-giving and protection. 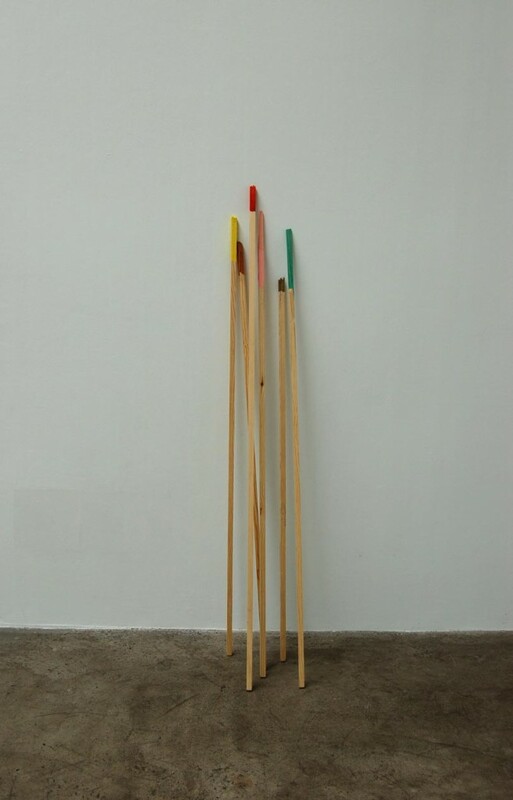 André Niebur is truly a stick gatherer, his elusive objects are sourced, determined as art by the simplest and most minimal interventions, and proffered to the viewer to digest and arrange or re-arrange according to their own needs and wishes. 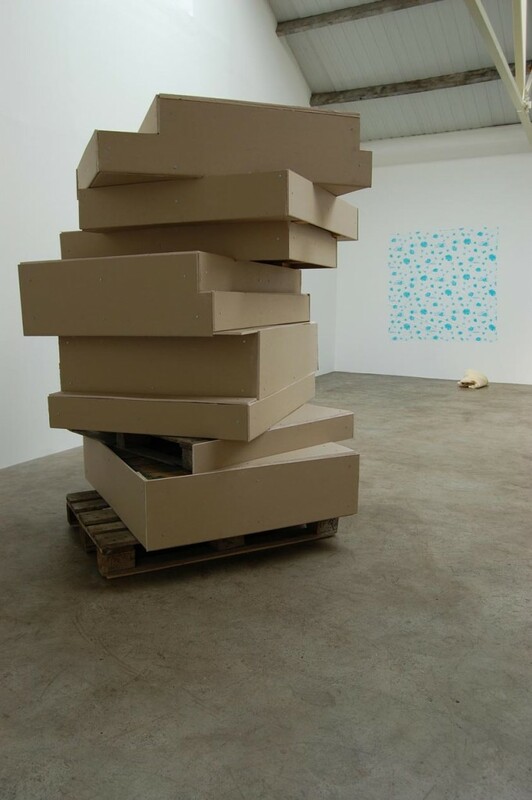 Both Brendan Earley and Ciaran Walsh contrast sculpture with the essentiallity of functional artictecture. 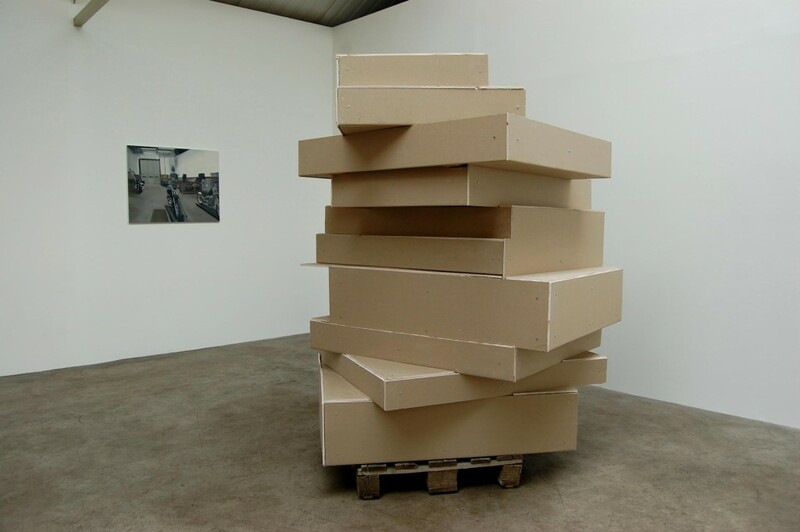 Although in this instance, Earley’s major piece involves pallets clad in plasterbaord, he is best known for his rebuilds of flat-pack furniture and stuctures such as kitchens and home office shelving, without instruction manuals. Wittgenstein’s ‘Picture theory of Language’ is at least as relevant to Earley’s reconfigurations of these simple and accepted structures, as the missing manuals. 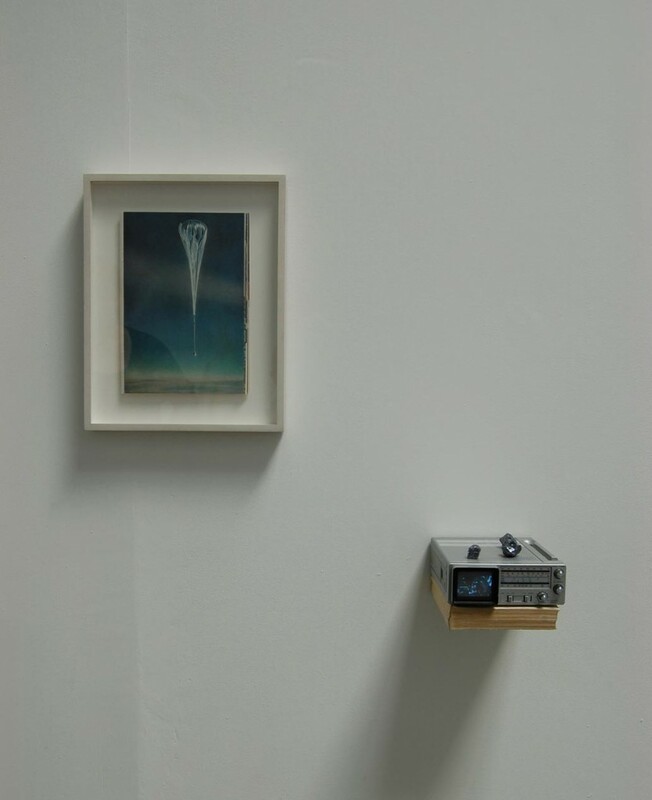 Walsh has fabricted a crude but life giving tree, conciously squeezed into the smallest, darkest, least life-giving space in the gallery. 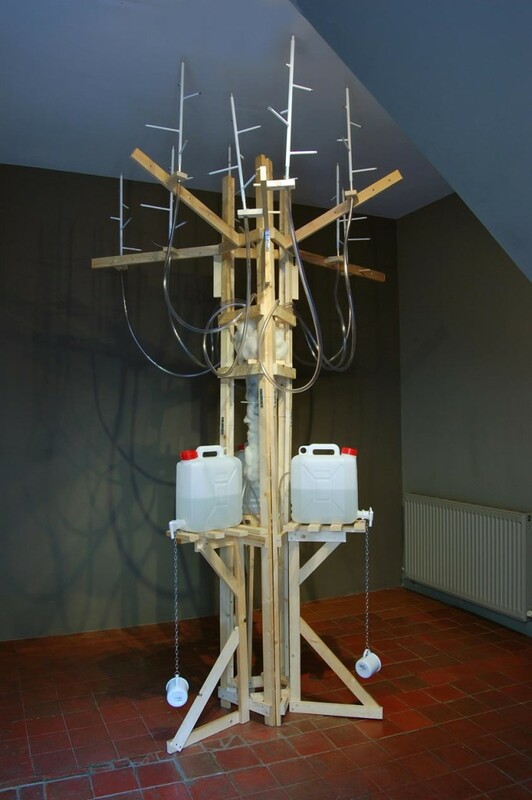 The artifiiciality of the environment underscores the un-naturalness of the art-making and exhibition process. 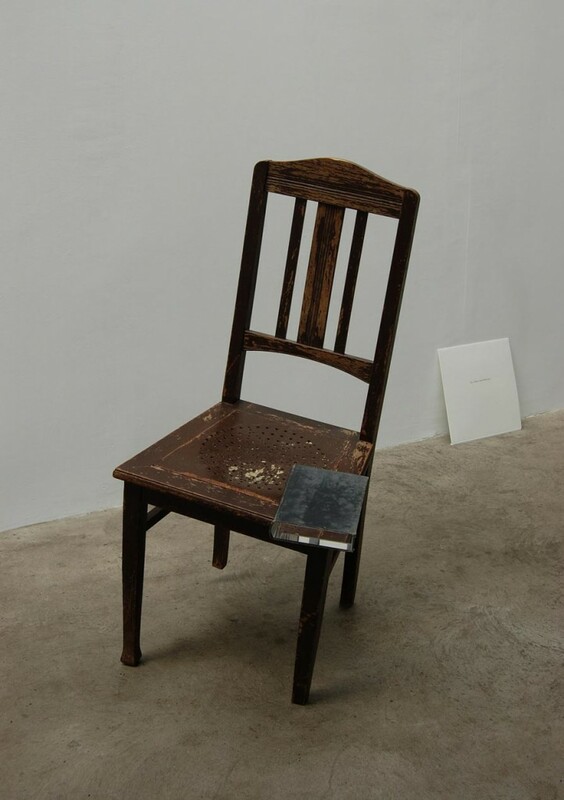 Torben Tilly & Robin Watkins both come from the territory of contemporary music and its periferal bleed into visual art, and their collboration has produced a Borgesian reference library that literally records – recorded onto vinyl LP (in an edition of one) – moments of human endeavour, breakthrough or adventure that have been transformed into stilled or looped time. Infinity creates hollow spaces.